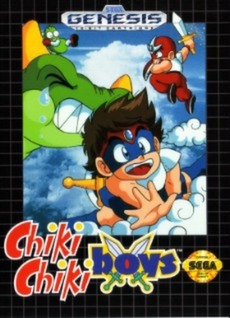 Chiki Chiki Boys (Sega Genesis, 1993) Cleaned & tested! Chiki Chiki Boys (Sega Genesis, 1993) Cart Only / Cleaned & Tested! Chiki Chiki Boys Cart Only! (Sega Genesis) Rare! Free Shipping!